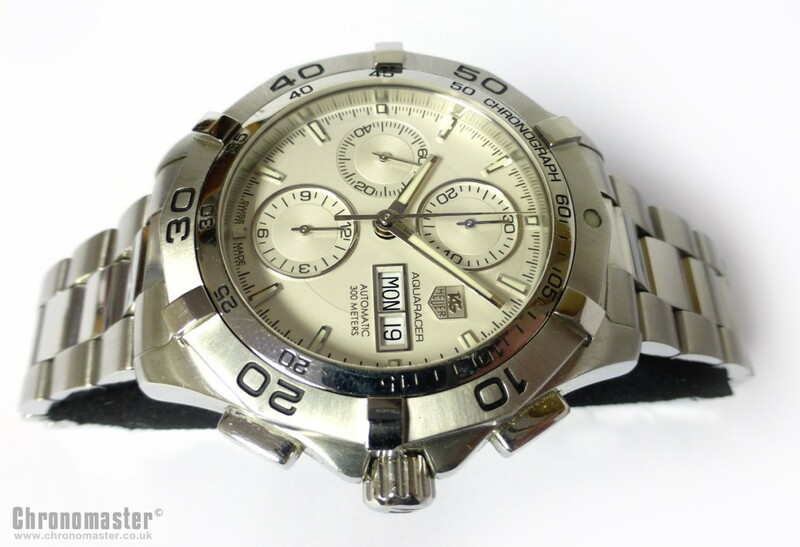 Very good condition Tag Heuer Aquaracer automatic chronograph divers watch. 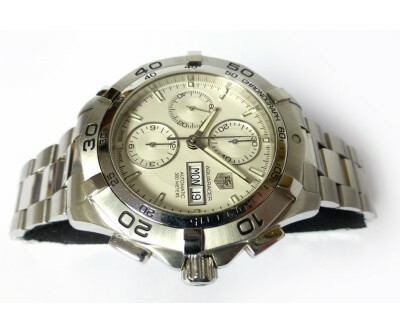 This is a strong, durable stainless steel wristwatch that also sports handsome looks, excellent design and a fresh and clean spirited appearance. Fantastic execution with silver sporty dial with matching blue and steel rotating bezel. It has luminescent hour markers and date at the 3 position. It has got diamond polished hands with polished facets coated in superluminova luminescent material for optimum readability and radiance. The case is stamped from a single block of stainless steel, with screw on case back, screw down crown and scratch resistant sapphire crystal and the watch is water resistant to 300 metres. It has got a divers style uni directional ratchet operated rotating bezel. Bracelet is brushed/polished steel with divers wet suit extension clasp and fliplock safety buckle. The case is brushed/polished finish. There are some marks to the bracelet, to the polished area. The marks are not significant and can be polished out, even a decent hand polish will bring it back to new looking condition. 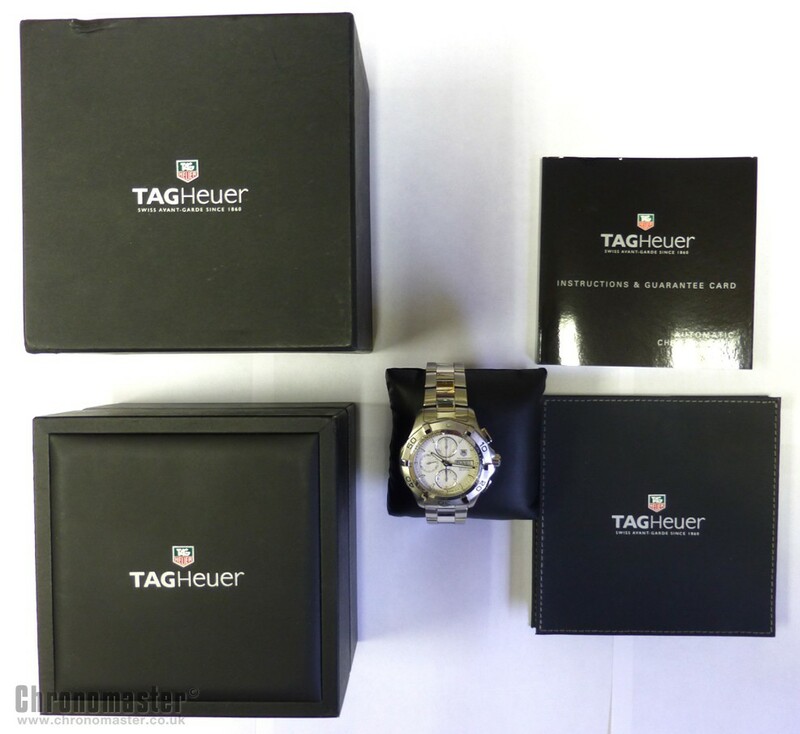 Superbly designed and crafted watch by Tag Heuer, with a history dating back to 1860, and now one of the worlds most eminent and successful watchmakers with high profile visibility. 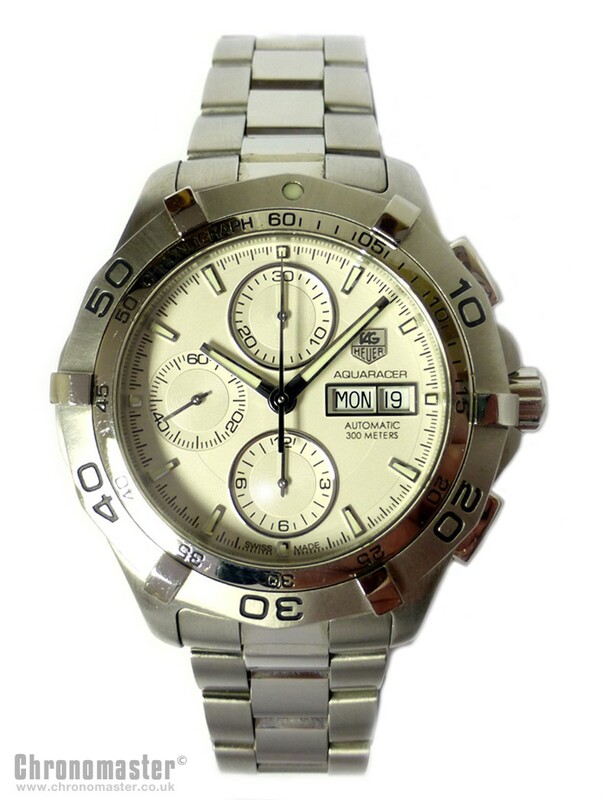 The Tag Heuer is steeped in history and the brand is closely associated with motor racing. Many of the old Heuers are named after racing events such as Daytona, Kentucky, Pasadena, Monaco, Monza etc. These days it is Formula 1 where Tag Heuer are strongly associated. 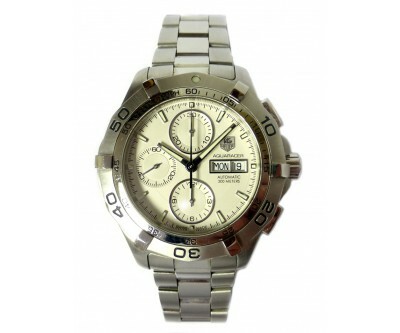 They are the official timekeepers of the F1 racing events and sponsor many of the F1 constructors and drivers. 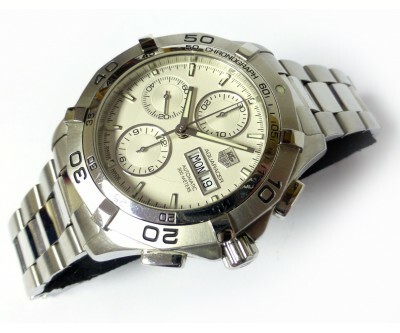 This watch carries on the heritage of Tag Heuer in true sporting fashion. It comes with all of the links. 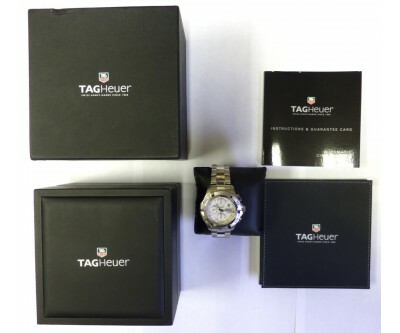 Comes in padded box, outer box, instruction booklet, warranty card is missing Width is 38 mm excluding crown and 42 mm including crown, Lug to lug is 43 mm, Thickness is 9 mm.